Metacognition means “thinking about cognition,” and given that cognition generally refers to the processes of thinking, metacognition means “thinking about thinking.” Metacognitive strategies are what people use to manage and understand their own thinking processes. Metacognition refers to knowledge about cognitive processes (“I’m bad at names”), monitoring of cognitive processes (“I’ll remember that equation”), and control of cognitive processes (“Using flash cards works for me” or “I’ll need to spend at least 2 hours studying this”). People are often in situations in which they are required to evaluate the contents of their memory. When people are approached on a busy street and are asked for directions, how do they know if they know the directions or not? When studying a list of items to be remembered, how do people know how much time they should spend studying each item for memorization? Furthermore, how do people know that they know the name of a movie they once saw, even though they cannot produce the name of the movie? These phenomena fall under the category of metacognition. Metacognition is a broad category of self-knowledge monitoring. Metamemory is a category of metacognition that refers to the act of knowing about what you remember. Metacognition is generally implicated in the knowledge, monitoring, and controlling of retrieval and inference processes involved in the memory system. Knowledge refers to the evaluation of conscious experience. Monitoring refers to how one evaluates what one already knows (or does not know). Processes involved in metacognitive monitoring include ease of learning judgments, judgments of learning, feeling of knowing judgments, and confidence in retrieved answers. Metacognitive control includes learning strategies such as allocation of study time, termination of study, selection of memory search strategies, and decisions to terminate the search. Metacognition involves the monitoring and control of what is called the meta-level and the object-level, with information flowing between each level. The meta-level is the conscious awareness of what is or is not in memory, whereas the object-level is the actual item in memory. The meta-level essentially creates a model of the object-level, giving people the sense of awareness of that object’s existence in memory. Based on this meta-level model, people can quickly evaluate what they know or think they know so they can decide whether they should spend the effort trying to recall the information. An example of how the meta-level works might be the person being asked directions by a traveler. Before attempting to recall the directions, the person will determine if he or she even knows the directions before he or she begins to try to recall the specific directions. Once the meta-level evaluates the memory state of the object-level and determines that the directions are known, a search for specific details would follow. Given that metacognition involves the memory system, it will be helpful to briefly review the processes of human memory. Memory proper can be divided into three separate processes: (1) acquisition, (2) retention, and (3) retrieval. Acquisition is how people get information in memory. Acquiring information could be reading a text passage, watching a movie, or talking to someone. The second stage, retention, refers to the maintenance of knowledge so that it is not forgotten or overwritten. The third and final stage is retrieval of the stored information. Retrieval, for example, might be the recall of the information (e.g., giving the traveler the directions) or the recognition of the information (e.g., marking the correct answer on a multiple choice test). Depending on which aspect of the memory stage is involved, different monitoring and control processes are involved. The metacognitive system consists of two types of monitoring: (1) prospective, occurring before and during acquisition of information, and (2) retrospective, occurring after acquisition of information. Ease of learning and judgments of learning are examples of prospective monitoring. Ease of learning involves the selection of appropriate strategies to learn the new information and which aspect of the information would be easiest to learn. For example, if the traveler decides that the directions are too difficult to remember, he or she might attempt to write them down, or he or she may ask for directions based on geographical locations rather than street-bystreet directions. One way researchers study ease of learning is by having students participating in a memorization study indicate which items on a list would be easier to learn (ease of learning judgments). Participants would then be allowed a specific amount of time to learn the list during acquisition. Following a period when the information is retained in memory, a recall or recognition test would follow. The researcher then compares the ease of learning judgments with the memory performance to determine how well the judgments predicted performance. The findings indicate that ease of learning judgments can be accurate in predicting learning. Judgments of learning occur during and after the acquisition stage of memory. Participants in a study examining judgments of learning may be asked to study a list of items and then asked to indicate which items they had learned the best. Or participants may be asked to provide judgments of learning after a retention period, just before the memory test is administered. Similar to the ease of learning judgments, judgments of learning are compared with a later memory test to determine how accurate the participants were in their judgments. Research has found that judgments of learning become more accurate after practice trials. It is not known if judgments of learning are based on ease of learning or if they are based on previous recall trials. Feeling of knowing can be either prospective or retrospective. 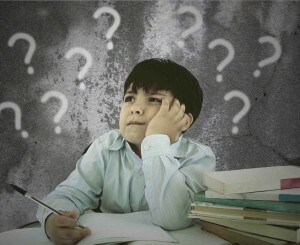 Feeling of knowing is typically measured as an indication of how well a participant thinks he or she will be able to recognize the correct answer to a question in a subsequent multiple-choice task. Feeling of knowing studies typically use a recall-judgment-recognition task whereby participants are asked general information questions (sometimes trivia questions). If the participant is unable to recall the answer, he or she is then asked to provide a judgment evaluating the likelihood that he or she will be able to recognize the answer when seen in a multiple choice type test. When compared with recognition performance, feelings of knowing judgments are generally greater than chance, but far from perfect predictors of recognition. However, research on feeling of knowing has helped establish that people are able to provide accurate self-reports of their metacognitive states. Confidence judgments are retrospective because they are taken after the retrieval of an item from memory. For example, after an eyewitness to a crime identifies someone from a lineup, he or she is often asked to provide an evaluation of his or her confidence in the identification either on a scale (e.g., from 1-10) or in terms of a percentage (“I’m 100% sure”). Confidence judgments are varyingly related to the accuracy of recall, depending on the type of information that is being recalled (verbal, spatial, pictorial), how much time the person had to study the information, or the context within which the judgment is being taken, among other factors. In some instances, such as in the eyewitness identification example, the relationship between confidence and accuracy is low, and thus confidence is not necessarily predictive of correct identification performance. Metacognitive monitoring is studied by having participants provide judgments of their metacognitive state (e.g., “I know that,” “I remember that,” “I don’t know,” “I’m not sure”). A more naturally occurring metacognitive state is when a person has difficulty retrieving an item from memory yet has a sense that retrieval is imminent. This is commonly referred to as a tip-of-the-tongue state. In a tip-of-the-tongue state, a person is often able to partially recall bits and pieces of information related to the sought-after item. Researchers have often used partial recall created while in a tip-of-the-tongue state as a “window” into the memory process because they can examine the types of partial information being recalled in relation to the properties of the memory item actually sought. It is believed that tip-of-the-tongue states are more than a memory curiosity and that they serve as a mechanism to evaluate one’s memory state and direct metacognitive control. Ease of learning, judgments of learning, feeling of knowing, and confidence are ways metacognitive monitoring is examined. These processes are interrelated with metacognitive control. As with monitoring, metacognitive control is different for the different stages of memory. Control during the acquisition of memory can involve the selecting of the different types of processes to use. For example, if the item to be remembered is thought to be easy, very little processing may be allocated to the item. However, if an item is thought to be difficult, more elaborate rehearsal may be allocated. Control over the allocation of the amount of time given to study each item also occurs at the acquisition phase. For example, when studying for an exam, a student may decide to spend more time on a particular item that he or she feels will be eventually learned and little to no time on an item that is thought to be too difficult to learn and thus resulting in a waste of time. This control process is related to ease of learning. Finally, the decision to terminate study is a control process occurring at the acquisition phase. This decision is usually related to judgments of learning. 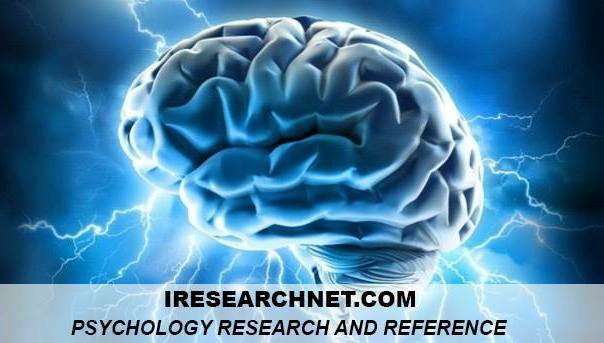 Metacognitive control over search strategies occurs during the retrieval of memory. These include the selection of search strategies and the termination of search. How elaborate a search does a person conduct for an item in memory? When approached and asked for directions in an unfamiliar part of town, it is not reasonable to exert too much time and energy attempting recall. However, if approached while in a familiar area, more effort may be allocated to a search. This process is related to the feeling of knowing. Tip-of-the-tongue states also influence retrieval strategies. When in a tip-of-the-tongue state, a person may spend so much time and cognitive resources to recall the information he or she becomes preoccupied and at times immobilized. Leonesio, J., & Nelson, T. (1990). Do different metamemory judgments tap the same underlying aspects of memory? Journal of Experimental Psychology: Learning, Memory, and Cognition, 16(3), 464—170. Metcalfe, J., & Shimamura, A. (1994). Metacognition: Knowing about knowing. Cambridge: MIT Press. Nelson, T. (1992). Metacognition: Core readings. Boston: Allyn & Bacon. Perfect, T., & Schwartz, B. L. (2002). Applied metacognition. New York: Cambridge University Press. Schwartz, B. L. (2001). Tip-of-the-tongue states: Phenomenology, mechanism, and lexical retrieval. Mahwah, NJ: Erlbaum.